If you want to install a ZTE update using recovery – download the official update, reboot your phone or tablet into recovery mode and click “Install update from SD card”. To install ZTE update with Fastboot – download and install drivers and ADB&Fastboot, download official firmware and flash it by instruction. ZTE Blade III Pro .. My Android Version Is 4.1.2 … Can I Upgrade To 4.4.4 ??? Is There Any Update ? Hi! There is no updates for your ZTE Blade III Pro. Hi! There is no updates for Zte Blade Vec Pro. Hi! There is no updates for ZTE Z667G. Hi! There is no updates for ZTE Warp N9510. ZTE Z812 ,Build number Z812V1.0.0B19 is there an update? Hi! There is no updates for ZTE Maven Z812. 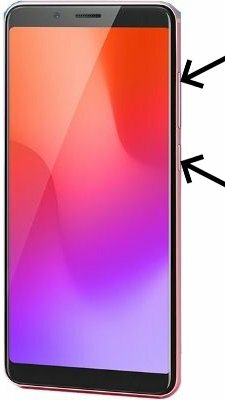 ZTE Quartz (Z797C) ? It was released with version 4.3,so currently uses it. Want 5.0. Repeatedly reboots about 4 times per hour,hoping update will fix it. Hi! There is no updates for ZTE Quartz. 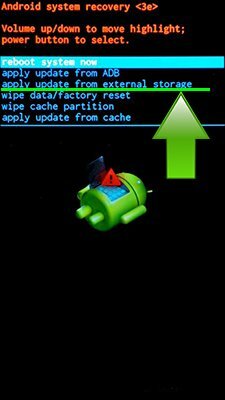 Reboots may be fixed by hard reset from settings. ZTE Quartz (Z797C) ?,For Trac-phone. It was released with version 4.3,so currently uses Android 4.3. I want 5.0. It repeatedly reboots about 4 times per hour,hoping update will fix it. N9130, ZTE Speed. I would very much appreciate a .zip file of 4.4.2 or any rom honestly that would work with stock recovery. I have customized my device deep into brick city. Any help much appreciated. Hi! There is no Android 4.4 update for ZTE Z933. I have a rooted ZTE Obisdian Z820 Running on lollipop 5.1 Need AN UPDATE THANK YOU. Hi! There is no updates for your ZTE Obsidian Z820. Resetting the phone does NOT fix the rebooting problem!! Hi! There is no updates for ZTE Atrium. Hi! There is no Android Lollipop 5.1 update for ZTE E7 Plus. Can I use the flash file of a 4.4.2 for a 5.1of the same ZTE E7+ ? Hi! If its 100% same ZTE E7+ you can install this firmware. Hi! There is no updates for ZTE Flash. Hi! Factory reset can help to fix your ZTE Blade Vec Pro. Hi! There is no Android 6 Marshmallow update for ZTE Q505T. You already have the latest firmware for ZTE Q505T. My cell phone is a ZTE model Z797C Android version 4.3 and I need to update it. don’t know how.???? Hi! Unfortunately, there is no updates for ZTE Z797. Hi! There is no updates for ZTE Atrium Z793C. Hi! There is no update for ZTE Z797C. plz give me the instruction how to update it. Hi! There is no Android Marshmallow or Nougat update for ZTE Blade V6. Hi! There is no updates for ZTE 826. Hi! There is no updates for your ZTE devices. Hi! There is no updates for ZTE Imperial Max Z963U. So I have zte quartz that I bought in 2014 I guess I’m screwed on an update huh. It hasn’t been connected to a day to network for two and a half years and has never ran on anything higher than a 3-g network. Starting to have some software issues so I figured I’d look online for an update. Hi! Connect your ZTE Quartz to a Wi-Fi network, than go to Settings – System – About – System Updates and download the latest update. Can I have update version of nogut for my zte blade s6. Hi! There is no Android Nougat update for ZTE Blade S6. Hi! If you want to update ZTE ZMax Pro – go to settings – about phone – system update – check and confirm system update. Hi! There is no updates for ZTE N817 for now. ZTE Blade G update don’t have. Hi! There is no updates for ZTE Blade G.
Firmware of ZTE Z820? Please help me. Hi! There is no updates for ZTE Blade V7 for now. Hi! What ZTE device model do you have? There is no updates for ZTE K85. Hi! There is no updates for ZTE Majesty Pro Z798BL. Hi! Unfortunately there is no updates for ZTE Z797C Quartz. 4.4.4 zten817 needs marsh to install sd for addl mem. How please? Hi! Unfortunately no, there is no updates for ZTE N817. Hi:. I would like to update my ZTE 730 4.3 Jelly Bean to 4.42 or higher. Hi! There is no updates for ZTE 730. No Update for ZTE Atrium Z 793CB01 , current version 4.44 , need 5.0 and up for GoPro App .. Help Please !